Like the idea, not the execution. In an effort to cut down/out meat intake, we look for meat substitutes. When is meat not meat? When a whole list of other stuff is mashed together to simulate meat. 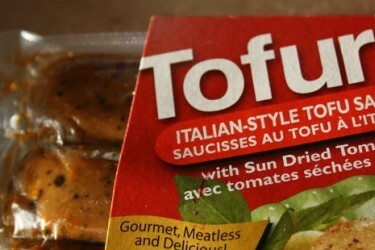 Organic tofu alone is okay but with all the additional stuff just to make it seem like something else, it’s a stretch and may very well overwhelm any nutritional value with the added fat, salt, and sugar to get the right texture and taste. You’re better off eating some organic, free-range turkey—or something else that’s a lot less processed.